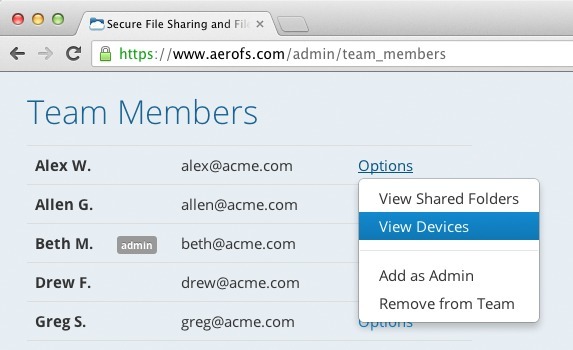 Private file sync and share for enterprise. Developer website: Air Computing Inc.
Is there a better alternative to AeroFS? 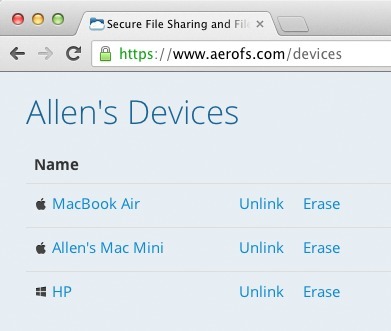 Is AeroFS really the best app in File Management category? Will AeroFS work good on macOS 10.13.4? AeroFS lets you join the tens of thousands of businesses across the globe that want to take advantage of the benefits of cloud computing but are unwilling to accept the security and privacy risks of public cloud services. Note: You must first sign up to use AeroFS. The hybrid cloud service is free for up to three users, and $10 per user per month for four or more users. The private cloud is $15 per user per month. Version 100.0: Release notes were unavailable when this listing was updated. AeroFS needs a review. Be the first to review this app and get the discussion started! AeroFS needs a rating. Be the first to rate this app and get the discussion started! All AeroFS services can be deployed behind your firewall. You will always know exactly where your data is and who has access to it. It gives you unlimited storage in your own private cloud. Simple to install. Simple to use. AeroFS.